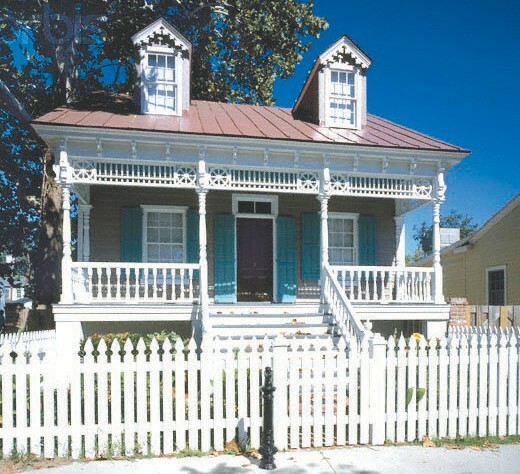 The King-Tisdell Cottage Foundation (KTCF) invites the Savannah community to come out for the Grand Re-Opening of the King-Tisdell Cottage Museum, 514 East Huntingdon Street, on Saturday, July 26, 2014, 3pm – 5pm. It is the 33rd Anniversary of the day it opened in July, 1981 and the Foundation is celebrating its “re – birth”, with a new permanent exhibit. The exhibit design, done by The History Workshop, also gives some insight into Savannah’s antebellum days and explains what happened after Emancipation that led to the successful development of the Beach Institute Neighborhood. The rooms at the King-Tisdell Cottage, “Savannah’s only black history house museum, “will now tell the story of the families who lived there. Eugene and Sarah King bought the house in 1925. After Eugene’s death Sarah married Robert Tisdell giving the house its name. The exhibit features stories about prosperous black Savannah businesses in the 1920s, 19 30s, and 1940s. . The last owner of the house was Alma Porter Tisdell, who married Robert in the 1960s, her story is shared throughout the exhibit. The Foundation is very excited about the room, at the King – Tisdell Cottage, being dedicated to its founder, preservationist and historian Wesley Wallace Law. “Mr. Law’s vision for an informed community, his life of service that was directed toward justice for all, uncovering and preserving history and culture in Savannah and the Low Country of South Carolina and his prominence in historic preservation is what compelled the Board of the KTCF to honor his memory,” said board chair Dr. Annette Brock. To round out its mission as a black heritage museum, the stories of the Gullah Geechee people in Savannah and the nearby coastal areas are highlighted throughout the exhibit. Other supporters that have been generous with their time and resources will also be acknowledged. At the re-opening on July 26, 2014 those individuals, organizations and businesses that have been generous with their time and resources will be acknowledged. Among them Old Town Trolley which adopted the Museum as a community service project and organized volunteers who painted the Museum’s exterior.